Not sure which product is right for your needs? The Product Selector Guide provides a summary table of key features for our I2C/SPI Total Phase products. 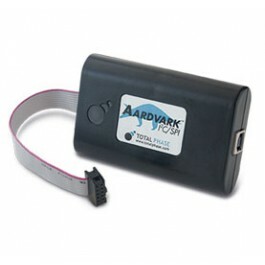 Detailed technical information about the Aardvark I2C/SPI adapter can be found in the User Manual. How Can I Best Verify MOSI/MISO SPI Data Traffic Using the Aardvark I2C/SPI Host Adapter? What Are the Details of the Software Arguments when Reading I2C Data Using Aardvark API Software?